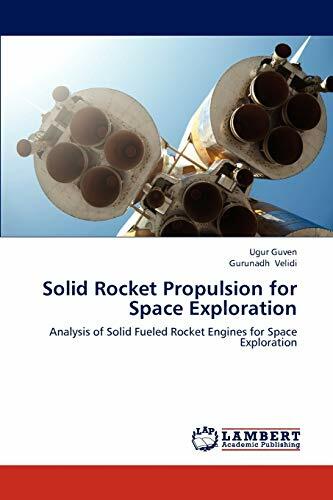 This book is intended for aerospace engineering students as well as for professional aerospace engineers who are interested in rocket propulsion technology as well as solid fuel rocket technology. Solid rocket boosters are an important part of rocket propulsion technology and they are essential part of the Space Shuttle as well as other spacecraft. This book talks about the basics of rocket propulsion as well as the use of solid rocket fuels. The advantages of solid rocket propulsion are clearly laid out in the chapters and analysis and manufacturing if solid rocket fuels are discussed. Applications of solid rocket propulsion are also included. Plenty of CFD analysis and thermodynamic analysis are also provided for the student / engineers. This book is a must for any aerospace engineer who wants introductory materials for solid fuel rocket propulsion. Dr. Ugur Guven and Gurunadh Velidi are both advanced space propulsion specialists who have talked about solid rocket propulsion at an introductory level for students.Further information on advanced propulsion technologies can be found in "Nuclear Propulsion in Spacecraft" authored by Dr. Ugur GUVEN available at Lambert Publications. Dr. Ugur Guven is an Aerospace Engineer&Nuclear Engineer. His area of interest is Nuclear Space Propulsion,Interstellar Flight,Computational Fluid Dynamics, Nanosatellites,Generation IV Reactors, and Gas Core Reactors.Dr. Guven has authored 50 papers & 4 books.He is the Chief Editor of Scholar Journal and consultant to several technology companies.